There is something about a new year, that makes me want to organize!! I just wish I had more time in my day to do it!! Last week I was looking for something in my laundry room cupboard and I just couldn't stand the mess any longer. It may not look like it was very messy from the photo, but I took a full kitchen sized garbage bag of junk out of it!! It feels so good to look in there now!! I love having things organized (probably my OCD) it makes me feel like I have a little control in my life, but if you are like me, things just never seems to be organized all at the same time. I have so many places and spaces that I want to organize, but I have to keep reminding myself of my 2014 Goal, to be nice to myself, and not feel guilty over stuff like that, especially if I am not really in the mood to do it or don't have time!! (not in any particular order) Spot remover, laundry supplies, sunscreen, bug repellant, birthday napkins and plants (paper), plastic silverware, leather cleaner/conditioner (for my sofa and loveseat), extra cleaning supplies, cleaning micro fiber cloths, Rubbermaid Mop pads, iron cleaner, Vaseline (not sure why that is in there?? ), clothes pins, magic erasers, spray paint. 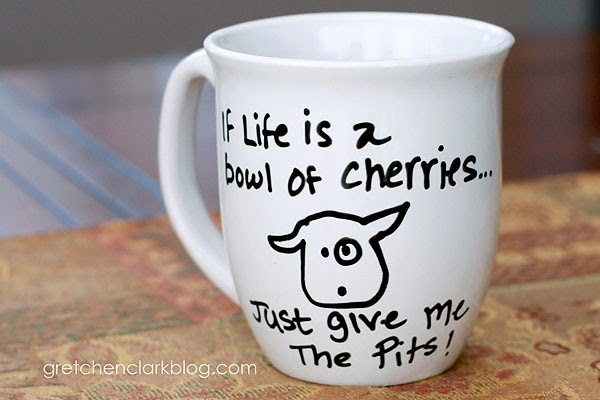 My next project is my pantry, it definitely needs a little TLC, things get lost and multiply in there!! I'm sure I will blog about it when it's complete. 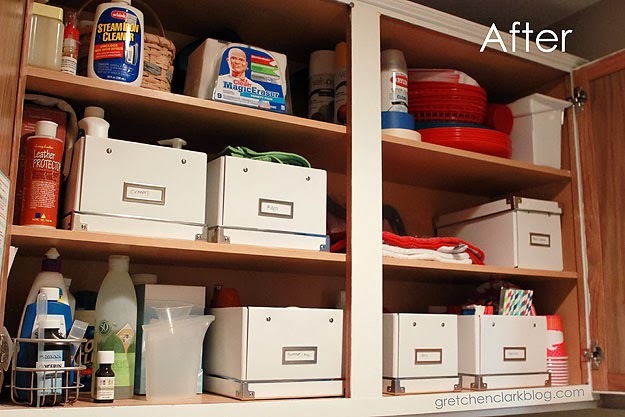 Do you have any organizing projects planned? I have been seeing Sharpie mugs all over Pinterest, and I have been wanting to make one!! 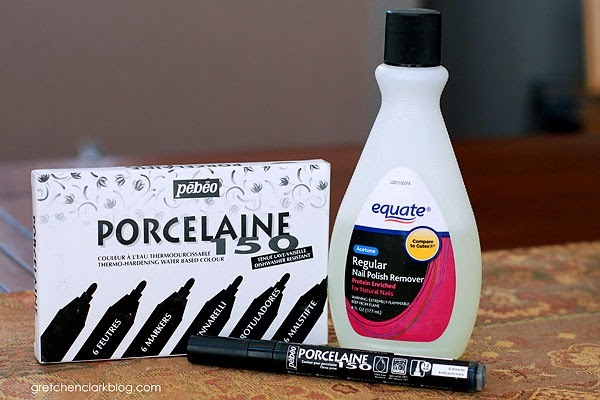 So two weeks ago, I purchased THESE pens (since the reviews I have read say these do better with dish washing), and went to the dollar store and picked up some plain white mugs. I actually had to go to 2 different stores, because I think everyone must be making these, LOL!! 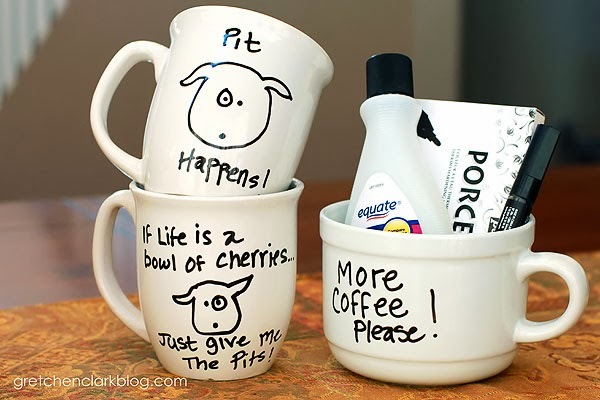 After I had all the supplies, I was nervous to actually start writing on my mugs. What would I write/draw?? I can be so indecisive at times!! I finally decided on a theme (pitties of course!!) and then started creating. These pens write really smoothly. I would recommend having some nail polish remover on hand, just in case you make a mistake or change your mind (which I did twice~see, I really am indecisive!!). They are really fun to make and go really fast!! When you finish your mugs, just let them dry for 24 hours then bake them in a 150 degree oven for 35min. So far they have survived the dishwasher. 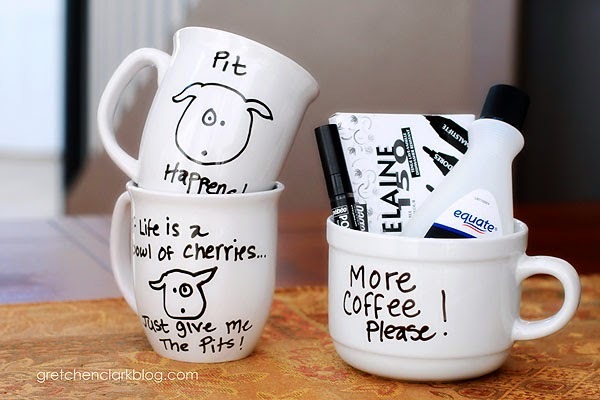 And how cute would it to have everyone sign a plate for a shower instead of a guest book? 1. Another pillow bit the dust, I have now decided to put them out of reach while I am at work see # 4. 2. My work provides healthy snacks~LOVE that!! I am getting back on the "healthy eating" wagon, fell off over the holidays. 3. Our dogs have their own peanut butter jar, because my hubby is a little OCD about putting the knife in there to fill up the Kong's. 4. The pillows now get put away when I am at work, since 3 have bit the dust. I cannot wait until they are out of the puppy stage!! 5. Have you seen THIS floating around Facebook? Such a great message...Thought I needed to do a selfie! 6. LOVE my Tom's, but noticed that they are getting a small hole, I was thinking of maybe adding a small red heart patch. 7. Mike was busy all weekend working on our stairs. We are in the final stretch!! I am hoping to post some pictures of all his hard work soon!! 9. Sunday Morning at the Bark Park. The girls love their social time!! It is no secret that I LOVE my dogs, Sophie and Bella. 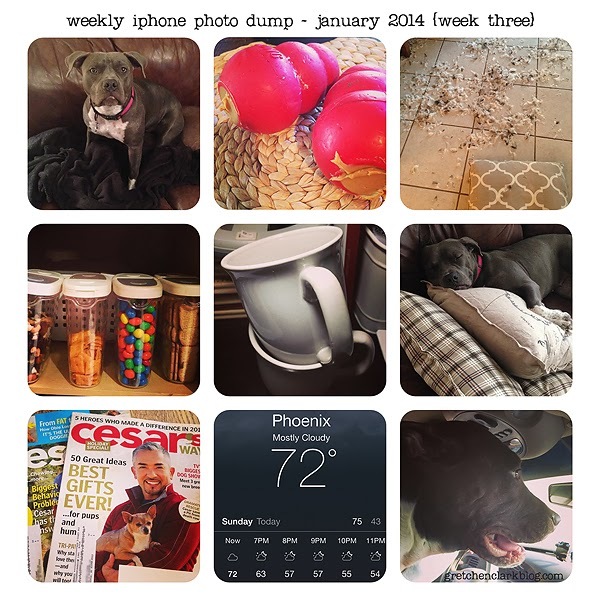 So I thought I would do a post on how we became pit-bull owners and some of the "durable" toys that they love to play with (they are all linked in this post and also to the right in my Amazon link). I would have NEVER (ever) imagined that I would be a Pit-bull owner. Growing up I was afraid of dogs. Josh rescued Kodi 4 years ago and well, I fell in love with him and found my love for dogs!! I remember one of my bosses telling me of his love of pit-bulls and I could never wrap my head around it (those were dangerous!!). Well one night Mike and I were walking Kodi, and one of our neighbors was outside with her new pitbull/mastiff puppy, Zeus. I asked lots of questions and found out that she had 3 grown pitbulls too, her sister owned one, and that they were the best dogs ever. We then found out that there were more puppies available in the litter. So Mike went the next day and picked out Sophie (I was home sick with a nasty stomach bug). I was surprised at how smart and lovable she was. She definitely proved me wrong. She is very friendly and a big scaredy-cat (especially of our cat Pete), she is our 80 pound lap dog. So when Josh was getting ready to move out with Kodi, we decided to look for another dog so Soph wouldn't be lonely while we were at work. Mike found Bella on Craig's list. We ended up falling in love with her and Sophie did great at the initial meeting, so we took her home. I am not sure why they didn't want her, but she was definitely under fed. In no time she was at a healthy weight and fit right into our family. Bella has a very different personality than Sophie. She is very social and super affectionate. We always say that she can't control her "licker" because she will lick you to death. She especially loves hanging out with her "pittie peeps" at the bark park. Oh yeah, and she steals all the balls when she is there too. Crazy pup!! Mike and I have really come to LOVE pitties and I love to show people how great our pups really are!! I always tell people to give pits a chance, most pit-bulls don't fit the stereotype. I have come to find out that they (pitties) are very hard on doggie toys (they love to play). I have bought toys that have only lasted 5 minutes, so when I find something that they like and is durable, I get pretty excited about it! 1. Kong Classic and Extreme - my dogs love this toy, especially when I fill it with doggie treats and peanut butter. Mike is the last one to leave in the morning, so he usually fixes the Kong's for Sophie and Bella. We have the red ones (which have held up pretty well), but when they finally wear out we will replace with the black Extreme version. 2. 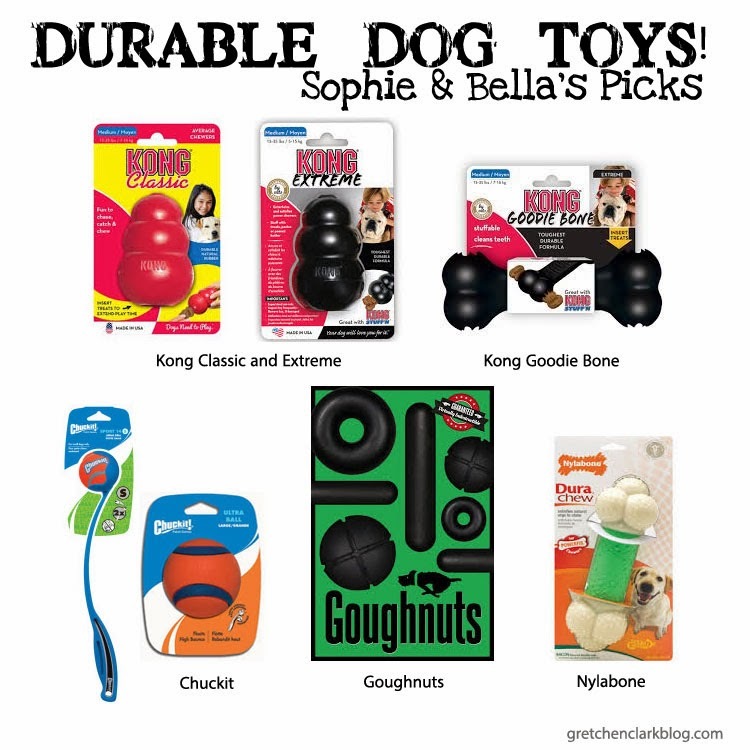 Kong Goodie Bone - Sophie and Bella LOVE to play tug-o-war, and they use the Kong Goodie Bone solely for that purpose. We started off with the red version, and it lasted for about 7 months (which is long for our pups). I just replaced it with the Extreme version. 3. Chuckit - Everyone at the Bark Park has one of these (well, not everyone, but a LOT of doggie parents), so of course we HAD to get one for Soph and Bella. They LOVED it so much, we ended up getting another one, so we can each "chuck" a ball to them at the same time (and since we usually get 2 of everything so they don't fight, LOL!!). Since they are extreme chewers and have BIG jaws. I recommend THIS ball (the tennis-like one that comes with it, bit the dust immediately). 5. Nylabone -These are OK. I thought I would still add them to the list, since they are a somewhat durable toy. Sophie and Bella Chew these like crazy, to the point that they end up spitting out pieces of it. They usually last about 3-4 months. 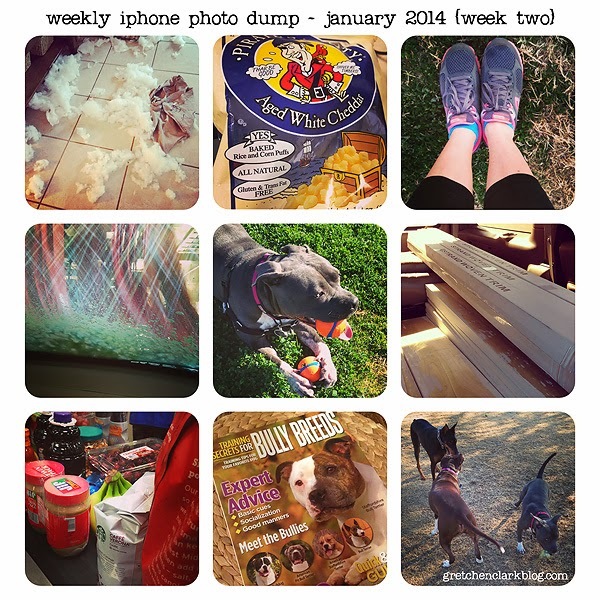 So there you have it, Lots of doggie info on the blog today!! 1. Bella loves the new fleece blanket I found at Fry's Marketplace on clearance for $6. I don't blame her, it is SO soft. 2. Every day when we leave for work, we fill the pups Kong's with some treats and peanut butter, They aren't spoiled at all!! 3. ANOTHER pillow bit the dust at the Clark house!! And they were doing so well too!! This one was filled with down, and let me tell you, it was a PAIN to clean up!! I will probably find feathers for months! 4. 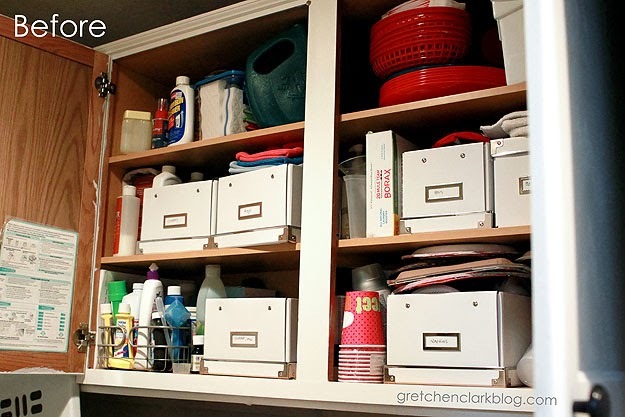 I have been on a little bit of an organizing kick...it feels so good to get stuff back in order after the holidays!! 5. I have a crafty project sitting on my craft table, now just to tackle it!! 6. Her is miss Bella taking a nap. She is kind of a princess!! 7. My new subscription that I found on Groupon for $6. I love Cesar!! 8. The temps have been great, so nice to open the windows, I love having fresh air in the house!! 9. We took the pups to the bark park on Sunday, Sophie has been doing so much better socializing with the other dogs!! (She used to be really scared and stay next to us the entire time). 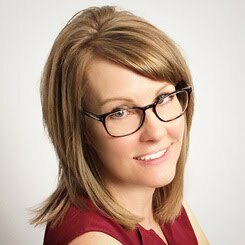 I get asked a lot, how do you do Project Life? And while there is NO right or wrong way to do PL (you can make it simple or super creative. I tend to stick to the simple), I thought I would do a post of some of the basics to get started. PL has revolutionized my scrap-booking!! I love the simplicity of it and if I want to go CRAZY, I can. I currently use the digital version of PL, but I started out using the paper version. I am going to talk about the paper version today, since that is the easiest and most popular way to do PL. 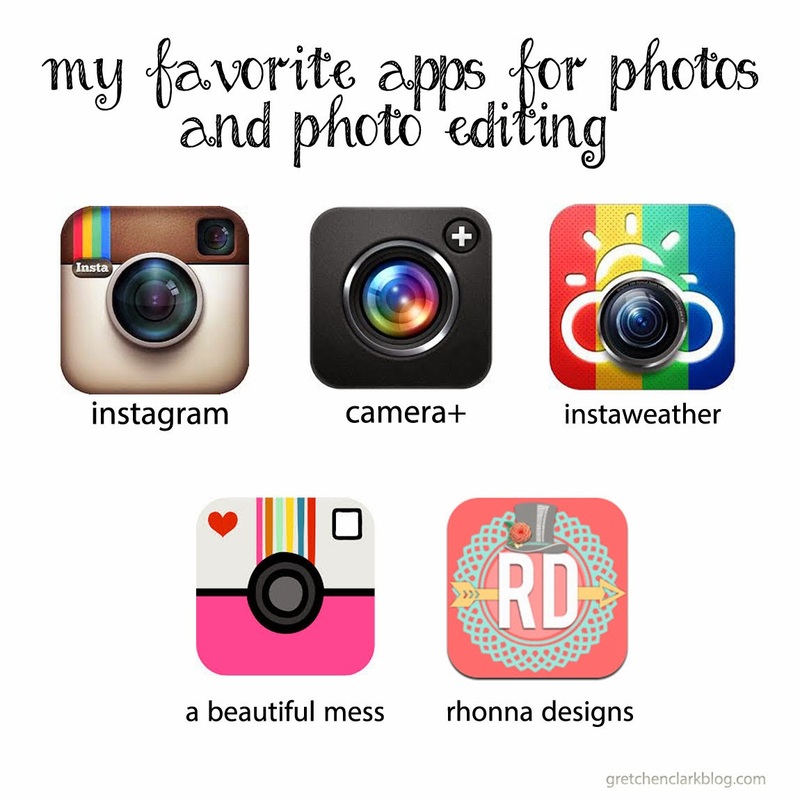 The digital version is easy too, you just need a photo editing software and have basic knowledge of a few tasks (ex. clipping mask/layer order/adding text). 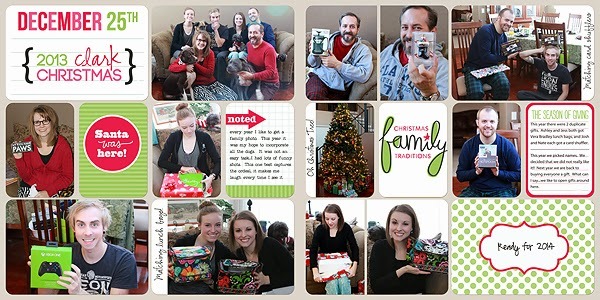 Most importantly, YOUR photos (I like to have mine printed at COSTCO). PL Kit of your choice (I always go with something that would match any theme). Some of my favorites are HERE HERE, HERE. 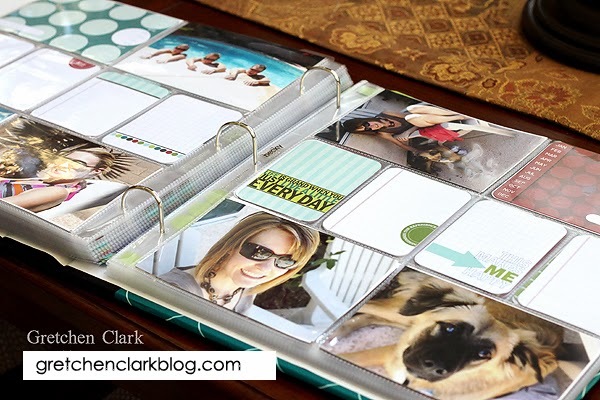 12x12 Album for your completed pages. 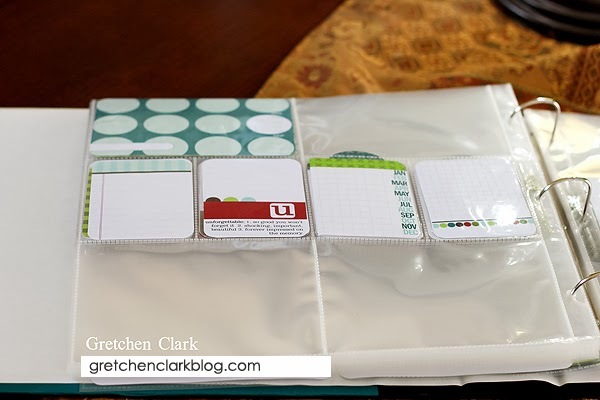 I like to start out by placing all my journaling cards, filler cards, title cards in the pocket pages (you can always move them around later), You can see how I fill up my photo pages HERE. Then comes the fun part...adding your photos. 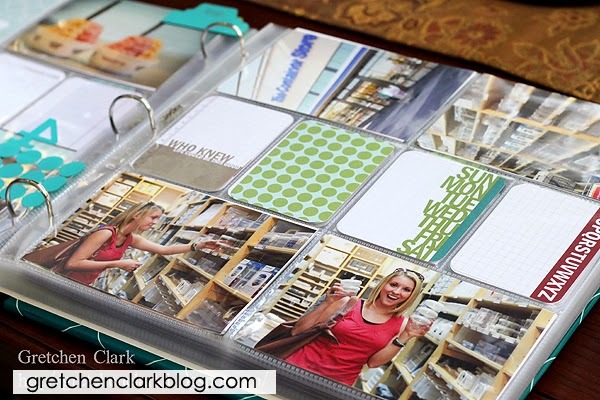 Once you get your pictures in place, journal away. Some people like to scrap as they go. Either way, you will see how fast and easy it is to preserve your memories!! 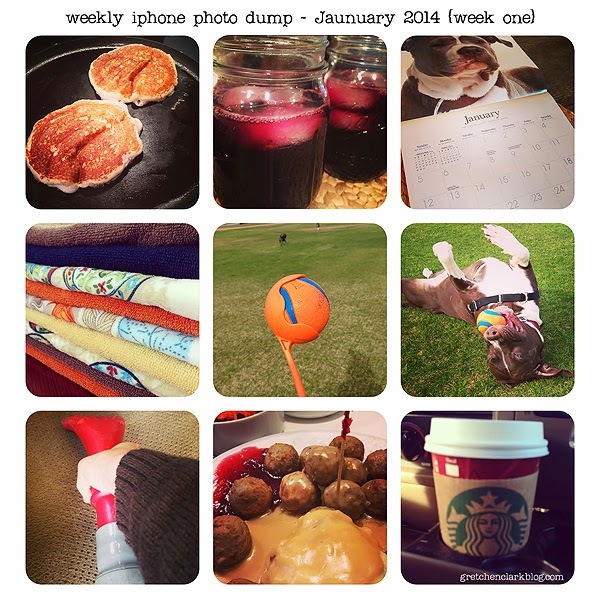 It is so nice to be back to blogging and doing Project Life!! Even though I have LIMITED time, it makes me happy to be creative!! 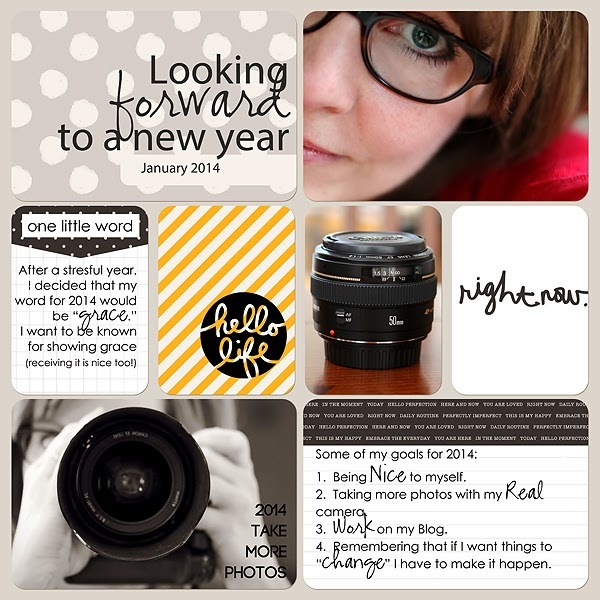 I thought I would start off my 2014 PL album with a "looking forward" page. Last year was not a great year for me, so I am super excited to MOVE forward. I hope it will remind me throughout the year to remember my word for the year "GRACE" and my GOALS for 2014. I really love the quote on page 2 by CS Lewis " There are far better things AHEAD than what we leave behind." I am claiming that for 2014!! How about you? What are your goals (or word) for 2014?? I get asked a LOT about PL and Where/How to start. I am writing a post on Friday about it!! So if you have been wanting to start documenting your every day life and don't know where to start, make sure you come back on Friday to see just how easy it is to get started!! 1. I bought new pillows for the family room last week. Apparently Sophie and Bella had some fun with one of them. They usually don't do that sort of thing anymore. They must have been bored waiting for me to come home from work. 2. Ashley gave me some Pirates Booty. These individual bags are only 2 WW points plus (I could have eaten 2 bags, LOL!! ), it was really yummy!! 3. Every night after work I take the pups for a walk (or run, if the school field is empty). It is a good way to force me to stay active. 4. My hubby always gasses up my car and takes it through the car wash for me. He is pretty great!! 5. Bella is a ball hog!! She will eventually learn how to keep 2 balls in her mouth, I am sure of it. 6. Our order from HERE finally came in, so we can finish our stairway!! 7. I love shopping at Sam's (and Costco), because I get some of my favorite things in very large quantities. Notice the grape juice (I blogged about it HERE). 8. The new Bully Breed magazine was at Petco. I love reading through them!! Although, I don't really consider Sophie and Bella Bullies!! 9. Soph and Bella met a new friend at the Bark Park on Sunday. 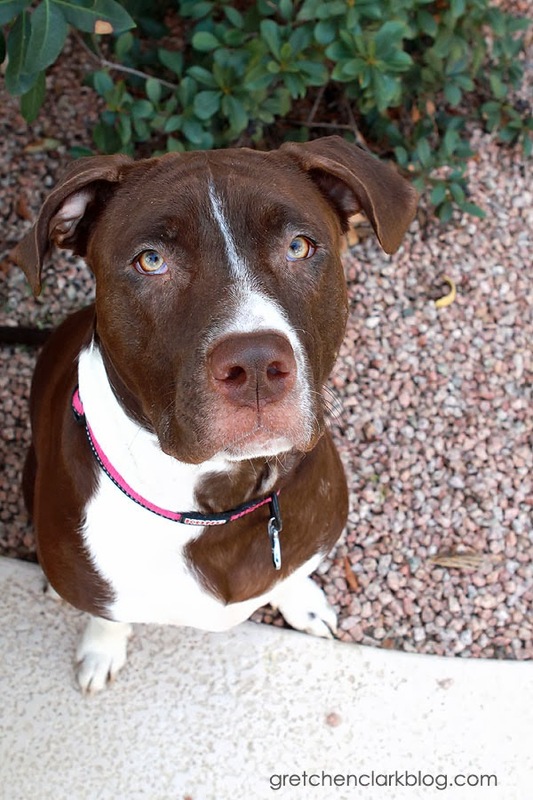 We want to make sure our pups have good socialization skills. Sophie is a little shy, but she is getting better. Bella thinks she owns the place. The stomach bug is the worst of the WORST!! Last year I had a nasty bout with it, I was sick for at least a week. 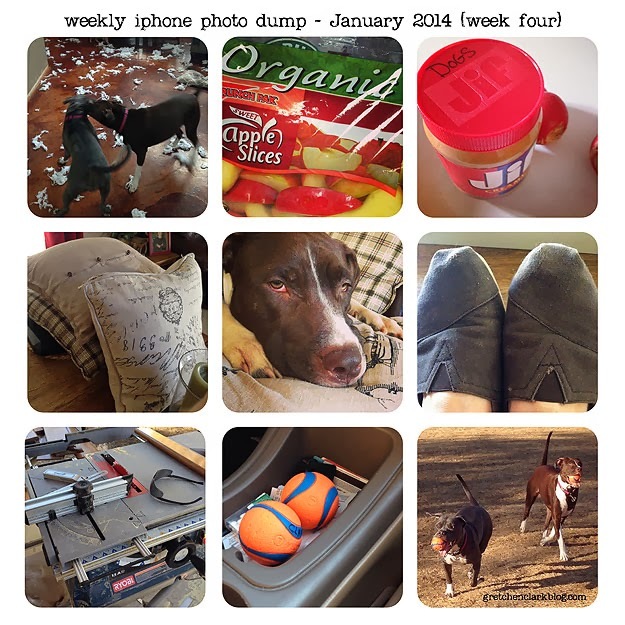 I remember the week perfectly, because it was the week we got Sophie (not the best time to get a new puppy, but it all worked out). My husband and daughter hate puking more than anyone I know!! One day Ashley told me about a blog post she read about how grape juice prevents you from getting the stomach bug, and she immediately jumped on the grape juice bandwagon. Mike wasn't too far behind, I on the other hand am not really a fan of the taste of grape juice (it is okay in the little cup for church for communion, but a giant glass???). I was a little skeptical, but the more I Google'd it, the more I found about it. Grapes and grape juice supply many important nutrients, such as vitamin C and potassium and might also have certain health protective benefits. 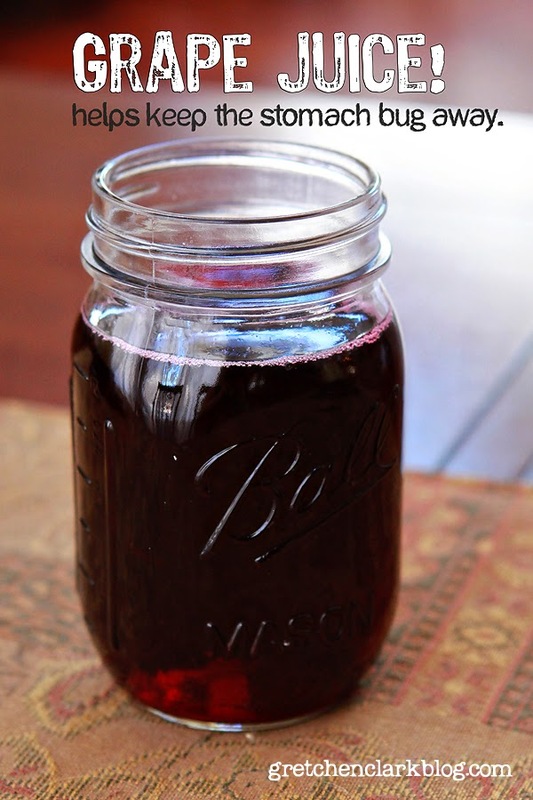 Grape juice might reduce your risk of developing blood clots, help reduce your LDL cholesterol level, prevent damage to the blood vessels around your heart and help maintain a healthy blood pressure. The antioxidants in grapes and grape juice might also help reduce your risk of heart disease and atherosclerosis. The most effective way to prevent a stomach virus is to wash your hands regularly. Scrub your hands with soap and water after using the restroom or changing a diaper, before eating, after spending time outside and after coming into contact with surfaces that might harbor germs, such as door handles. If someone in your family has a stomach virus, don't share towels, utensils or dishes. This might help prevent the spread of the germs that cause the virus. Grape juice is a healthy sources of vitamin C. The vitamin C that grape juice contains will help boost your immune system. Well, over the past few weeks the stomach bug has been going around my office. It has hit everyone around me. So I am not sure if drinking grape juice prevents the stomach bug or not, but I am not taking any chances...I am drinking my grape juice EVERY day. I drink it with dinner, and it isn't so bad (I think I am acquiring a taste for it). So far I have been stomach bug free~and I am pretty HAPPY about that!! 1. I made my famous buttermilk pancakes on Wednesday (since Mike and I were home for New Year's Day). The recipe is HERE. They are so good!! 2. Mike and I are drinking grape juice EVERY day (I will post about it on Friday). 3. I love organizing my new calendar every year. This year's model is THIS one. 4. I bought new kitchen towels at COSTCO this week. They are so bright and Cheery. 6. Sophie enjoying some play time with the Chuck-it. 7. We have a car wash near our house that offers FREE (do it yourself) vacuuming. Mike and I vacuumed out my car on Saturday, I didn't realize how much dog hair was in there. Must be from all the bark park visits, LOL! 8. After we vacuumed the car and ran a few errands. We stopped at IKEA for a few organizing items and lunch. Swedish meatballs and lingen berry jam~Yes Please! (random fact: I am part Swedish). 9 Mike and I grabbed a SB's before church. I cannot remember the last time I had one (gasp!!). Of course I got my usual: non fat-no whip-white mocha=DELISH! I LOVE Pinterest!! I find some great stuff there. I recently saw a post about a simple floor cleaner. The picture caught my eye, it was 3 really dirty Swiffer pads. Of course my curiosity got the best of me, and I clicked on the picture. The floor cleaner called for 3 ingredients and I already had 2 on hand, so I thought..."What the heck!!" I went to the store to buy the 3rd ingredient and whipped up a batch. 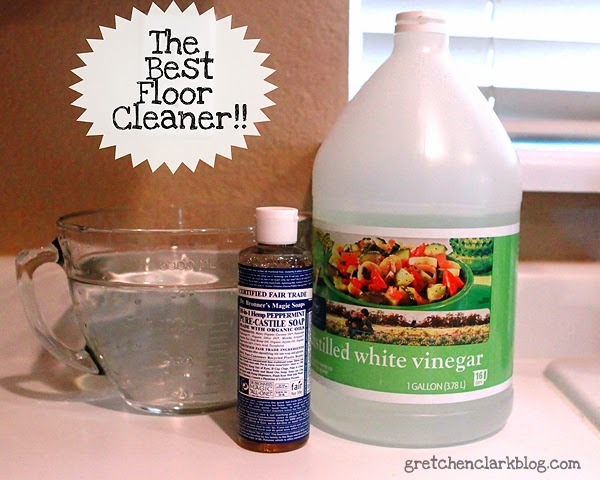 I gave it a shot and let me tell you, it is the BEST floor cleaner EVER people!! My entry way, kitchen and family room are tile, and that is the area that gets the dirtiest (mostly doggie paw prints). I also used it on my stained concrete and it worked like a charm. My floors not only looked clean, but felt clean. I am not sure about using this cleaner on hard wood floors, I use THIS on mine. So let me share the recipe, it is easy peasy!! (I made a smaller batch than what is called for in the original post). Original blog post is HERE. 1 Tablespoon Dr Bonner's Castille Soap (I bought the peppermint). I use a refillable mop, THIS one to be exact, so I just fill'er up and mop away!! I even put some in a spray bottle for spot cleaning in between mopping (I am always cleaning near the back door and by the doggie water bowl). I like the smell too!! Let me know if you give it a try and how you like it!! Ashley tried it and she LOVES it too (that's 2 for 2!). I am excited to be back! It is my plan to post on Monday-Wednesday-Friday (like I used to). But even though today is Thursday (but feels like Monday), I wanted to get in the routine of posting. 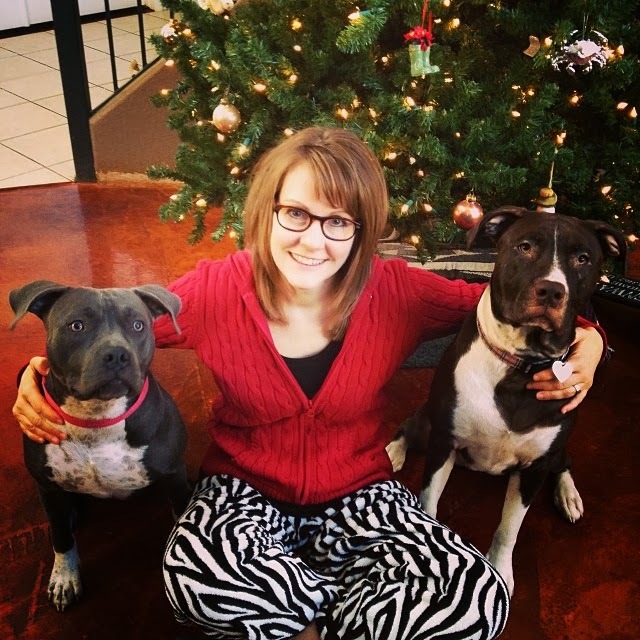 Mike and I LOVE our 2 pit bulls, Sophie and Bella. They are a little spoiled. 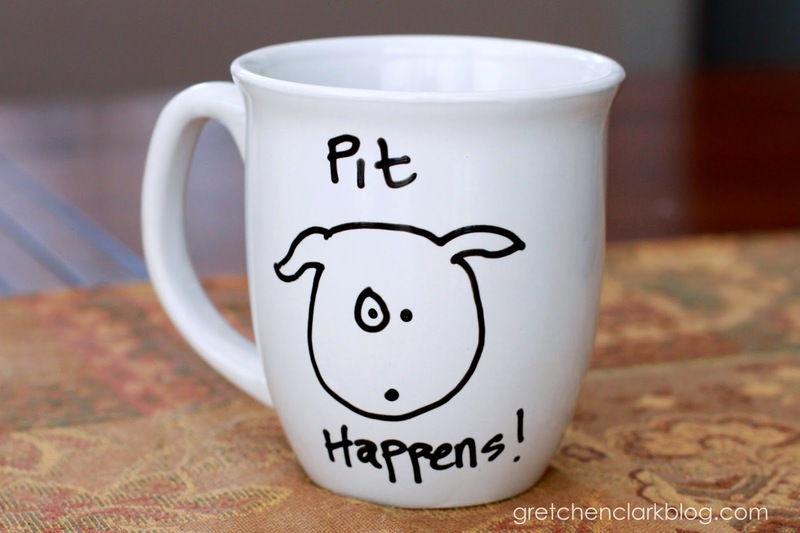 When I find an awesome pet product~of course I need to share!! Recently I discovered the Easy Walk Harness and let me tell you~Now I feel like the Dog Whisperer when I walk these girlies. Before, with the leash only, they did pretty good when walked individually (they are still learning not to pull), but when they were together, it was a different story (they both want to be out front). Since they weigh 80 and 60 pounds, I want to be in control when I walk them by myself! The harnesses are worth every penny!! 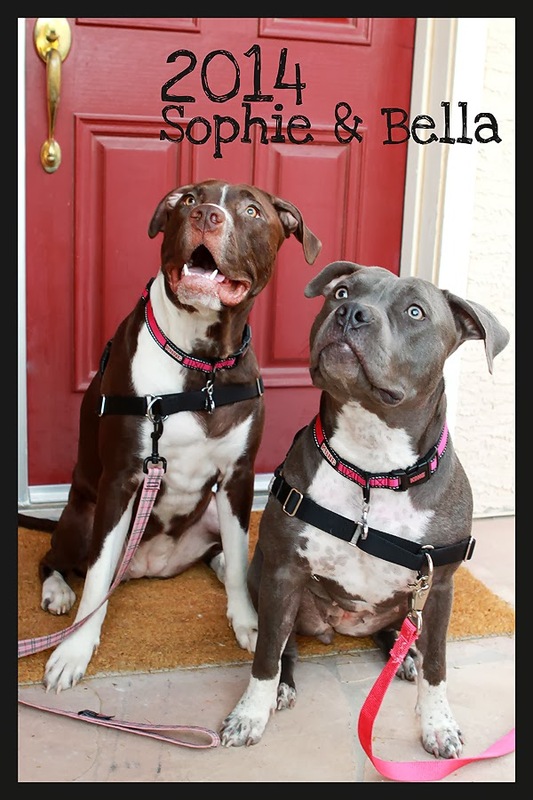 And of course I need to show you a picture of these cuties modeling their harnesses. 2013 has come and gone, and I am not going to lie...I am GLAD it is OVER!! 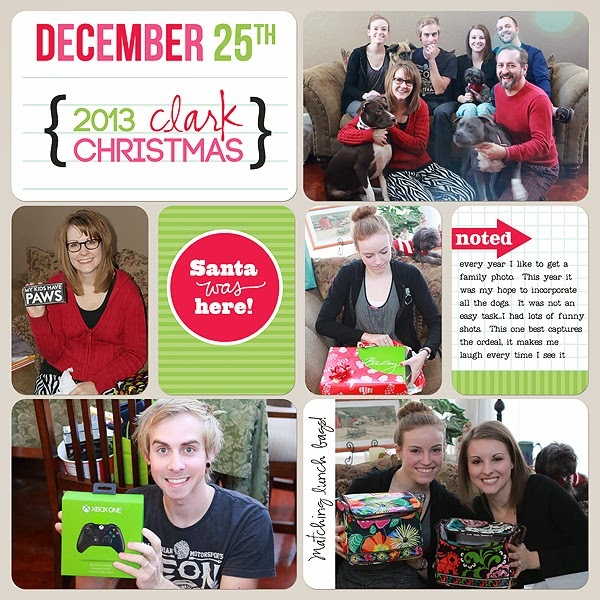 2013 has been a very difficult year for me and my family. I am SO HAPPY for a new year and a clean slate!! Welcome 2014!! I have seen a lot of people choose words for the new year, I have never done that in the past, but this year, my word is GRACE. 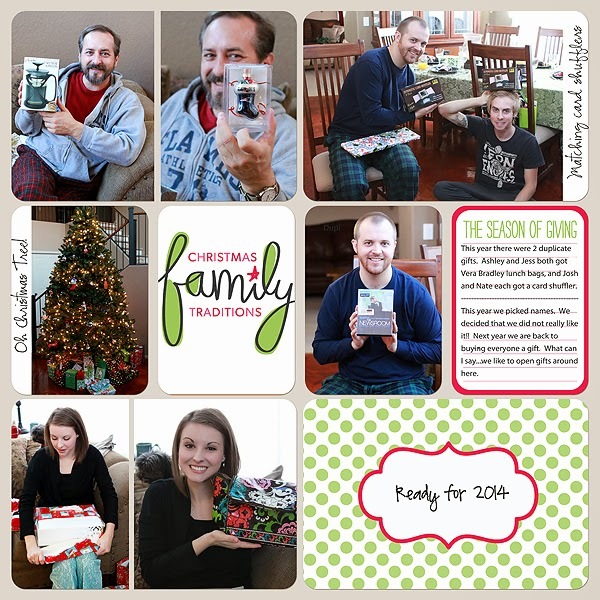 Our family decided to leave our church in 2013, it was a very sad and difficult decision, but one that I know will be blessed. The hardest part for me, was that the people you thought would always have your back~turned on a dime and were sticking a knife in it. I went through several months of bitterness and anger. How could these people treat me and my family this way? Mike also lost his job at UOP due to a huge layoff in August. Could things get any more stressful~unfortunately YES!! In September, I could no longer handle the stress and anxiety and had a severe bout of IBS which was so bad that I passed out while driving home from work one day. Thankfully no one was injured (just a few bruises and black eye for me), but it was a real eye opener. I decided it was time to pick myself up and brush myself off and pull it together and let it go!! Let go of the anger, bitterness and unforgiveness. Which brings me to my word for 2014 GRACE. I want people to show me GRACE~I want to show people GRACE (I am not talking about being a doormat here!!). Does it really matter who was right and who was wrong? What matters is relationships (especially the ones that are important to me)!! 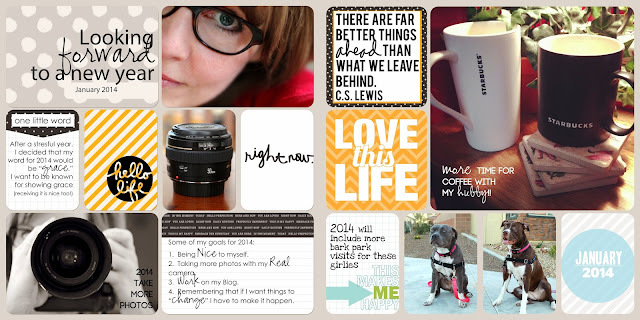 So what are my goals for 2014? Showing GRACE. I also decided that I am going to start being nice to myself!! I recently read an article about this. Why are we so hard on ourselves? I mean, would I treat my family and friends the way I treat myself~NOPE!! For example, if I want to eat a cupcake, why do I make myself feel so guilty about it? I would tell a friend~enjoy the cupcake!! Now I am not saying it is OK to eat cupcakes all the time, but once in a while, enjoy the splurge. If I don't feel like cleaning my house, I am going to give myself a free pass, instead of beating myself up and feeling bad for not doing it. This will be a challenge for me, but if I can do it 50% of the time~GO ME! 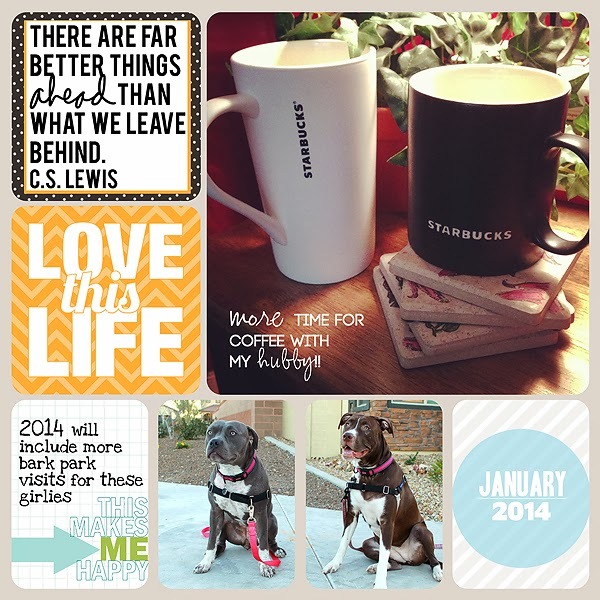 I am also going to go back to regular blogging this year!! I have missed it so much!! I am not sure what it will be about, but I am excited to find out. 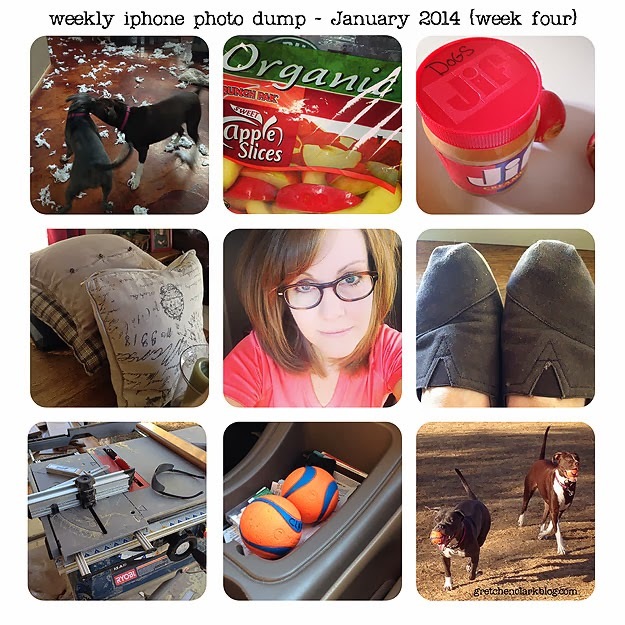 I will keep doing my weekly photo dump and Project Life (and post about my pups!! ), that is for sure!! So Today I am going to clean off my messy desk and do some organizing. Happy 2014 Everyone!! Be nice to yourself! !